Being an avid online shopper, I know a good marketplace when I see one. And for me, Shopee is one of them. Remember when I wrote about Shopee and how I signed up not just to shop, but also to sell? Being on Shopee for weeks now, I can say it has made online shopping more accessible, easy and pleasant. I’ve narrowed down 10 things as to why I love shopping and selling at Shopee. 1. It’s a mobile app. It lets me shop and sell whenever and wherever I am, I don’t need to bust out my laptop and access it from the web. 2. Signing up is breeze. 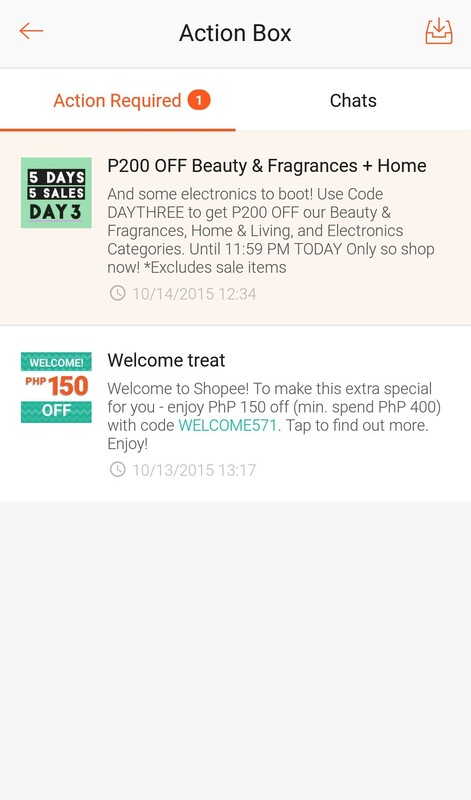 If you’ve read my previous Shopee post, I mentioned there how easy peasy it was to sign up. Choose to sign up via email or via your Facebook page. 3. Create listings for FREE. Yep. No need to pay any amount for listing nor commission. Post away as many items as you want. Yay! 4. Snap, say and sell! I have a bunch of clothes, shoes and bags that I’ve been meaning to sell but since I’ve been traumatize on how tedious it can be to list an item online, I decided to forego selling. 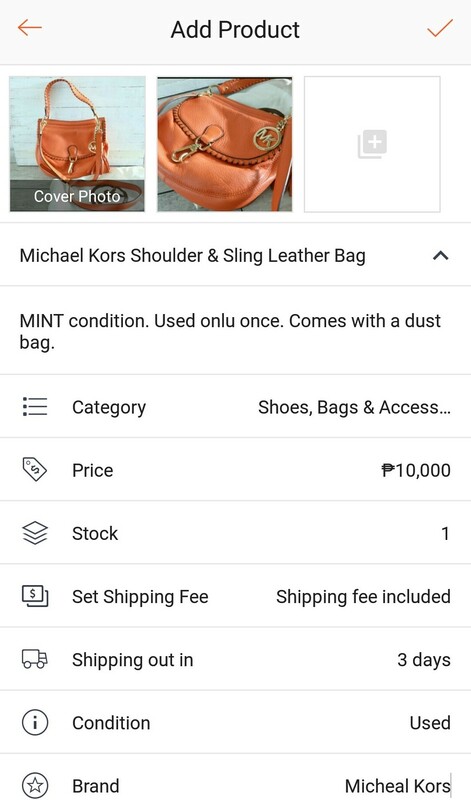 But with Shopee, posting a listing is easy as 1,2,3. Snap a photo, say something about the item and post it to sell. It took me less than a minute to post a listing. No tediousness, the simplest 3-step selling procedure I’ve experienced. 5. Option to choose. Yep. 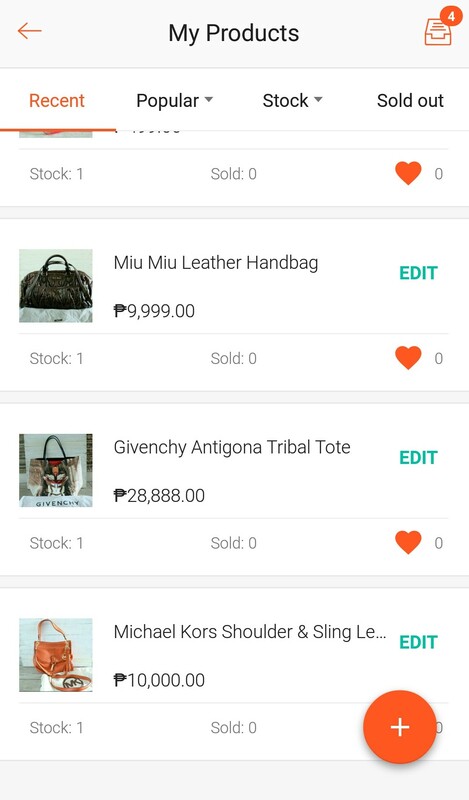 Shopee sellers can enable shipping options for their buyers. This prompts buyers to choose what courier their seller should use. Perfect for those avid online shoppers (ahem, ahem) who have courier preference. 6. Seller Assistant. 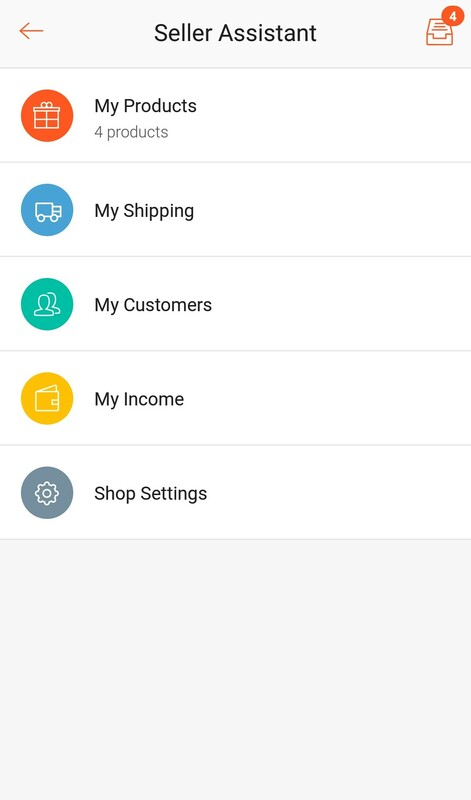 It helps me manage my listings, my customers and even my shipping. Everything is listed down on your seller assistant tab, all you have to do is click to keep track. 7. 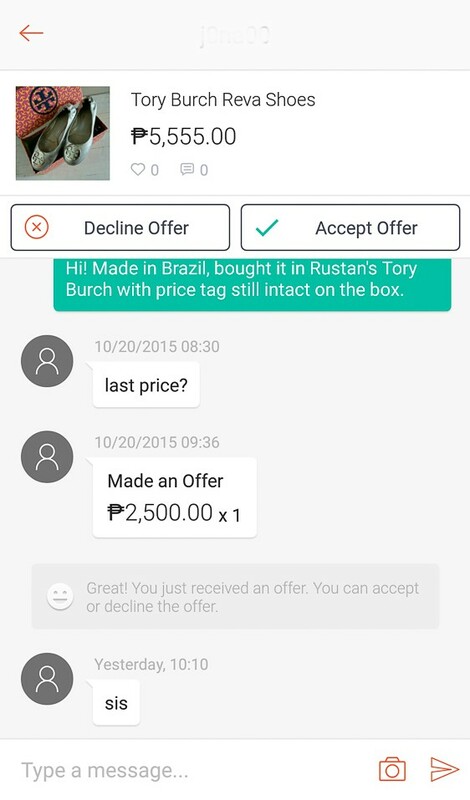 Chat with the seller to get the best deal. If you see something you like, you can immediately make an offer and if the buyer likes it, you get a deal. Real-time shopping with just a few clicks. 8. Get more deals and steals. Shopee has limited time deals in store so don’t forget to check your inbox once in a while for those irresistible promos. 9. Shopee Guarantee. Receive your order or get your money back. No more bogus sellers and uncertainty as to whether or not your item would arrive upon payment. Shopee guarantees you receive your order or you get your money back. Definitely a great reason to start shopping at Shopee. 10. Follow, like, link and browse away! 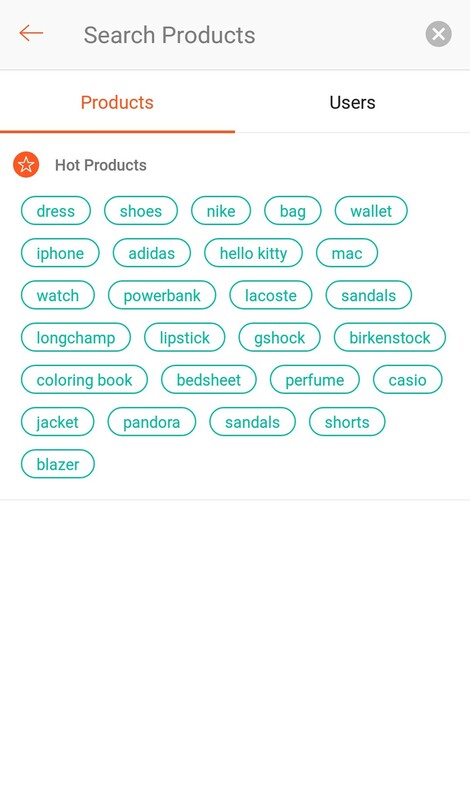 Use keywords or better yet, click one of the bubbles from the hot products tab to know what Shopee users are searching for. With hundreds of listings, a day is not enough to browse them all! Good thing there’s a ‘like’ button which bookmarks & lets you view the listing again, anytime you fancy. 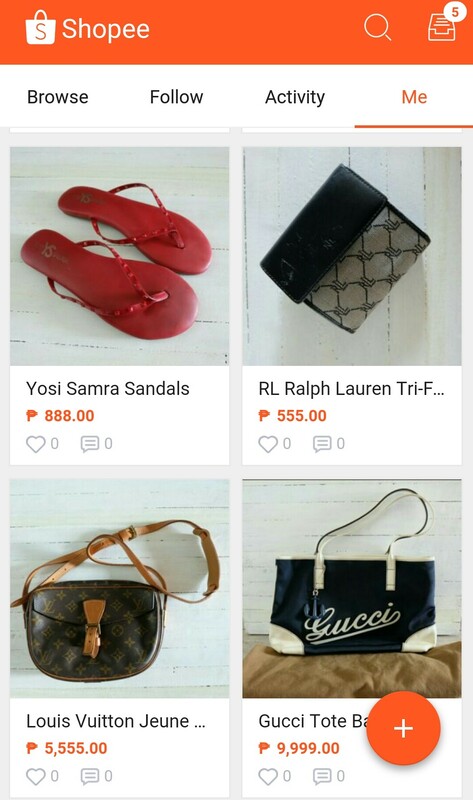 You can also share your listings on your different social media platforms to reach to more people and if you have an Instagram shop, you can easily link it to your Shopee account. If these reasons haven’t enticed you enough to join Shopee, I don’t know what will! 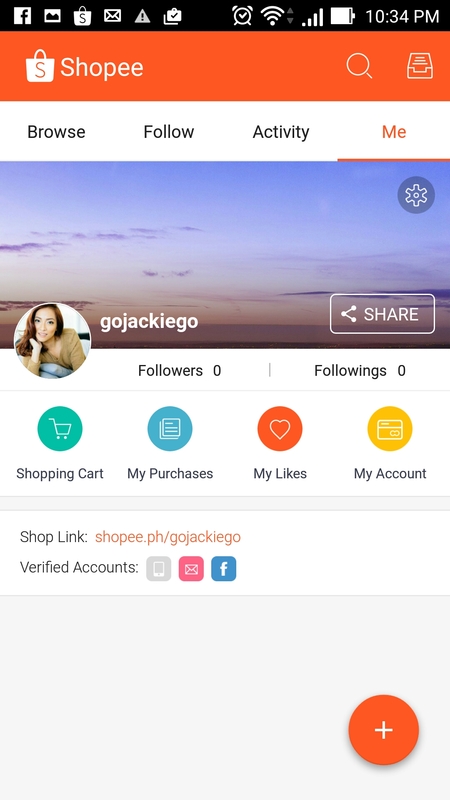 🙂 Go ahead and sign up and don’t forget to follow me on Shopee at www.shopee.com/gojackiego to get updates on my listings. Also, go ahead and use my promo code so you get P250 off your purchase at Shopee! Paano po umorder sa shopplee pH. Hi! Please sign up at Shopee so you can start buying/selling. Read my post to know how. Thanks! Hi paano po ba ma-avail yung COD sa shopee new seller here. hi i wanted to become a shoppe seller, how do i start? If I buy items from different sellers, is the shipping/delivery fee same for all items? Or I need to pay a certain amount depending on the terms of sellers? I often see “free shipping for orders over Php500”, does this apply to all items even though they are from different sellers? Hi Yanna! Get the free shipping if you have order about Php 500 per seller. Hi! Do you have a contact number of Shopee Customer Service? I just heard a rumor that it takes longer time for your item to get delivered in Shopee compared with Lazada, is that true? Thanks Jackie for that info 🙂 You’re right, probably it depends on the seller. I better read the comments and ratings from other buyers just to be sure. There are so many things I want to buy there so I’ll give it a shot. Hindi naman. 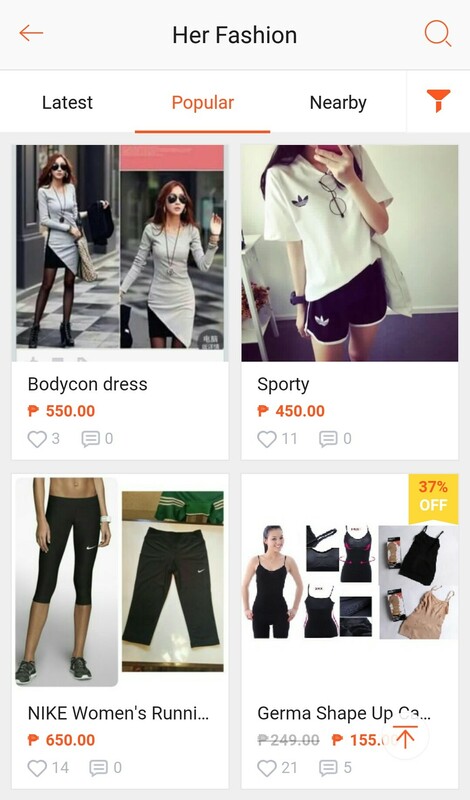 Natry ko na pareho Lazada at Shopee. Mas mbilis parin sa Shopee ang delivery nila. May 50% off pa sa shipping fee pag P250.00-P499.00 ang order mu at Free delivery pa pag P500.00 and up. Dami ka pang courier option na mapagpipilian. 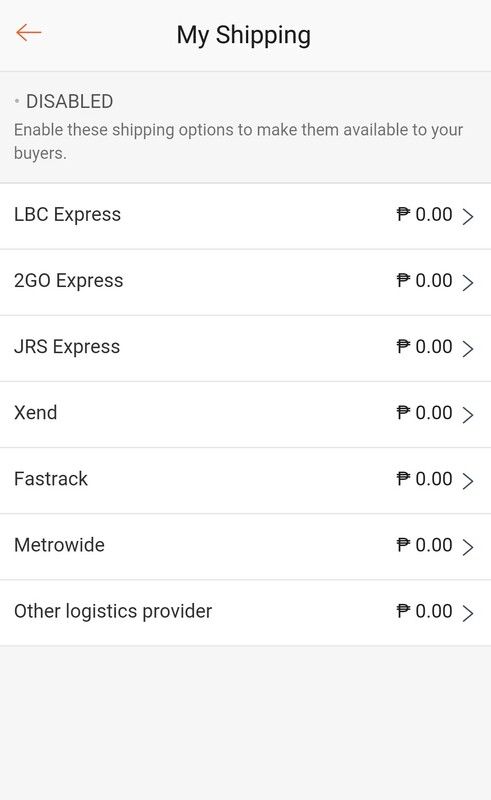 If ng order ba ako sa shopee sa ibat ibang seller isa lng ang shipping fee?same lng ba sa lazada? If I’m from Visayas, kailan ko ma receive yung order pag o-order ako from June 7? The promo code is so cool! How I wish na mayroon din ang http://www.goods.ph nito sobrang mura din kasi ng items nila (kuripot here haha!) Anyways nice review Jackie, keep it up! 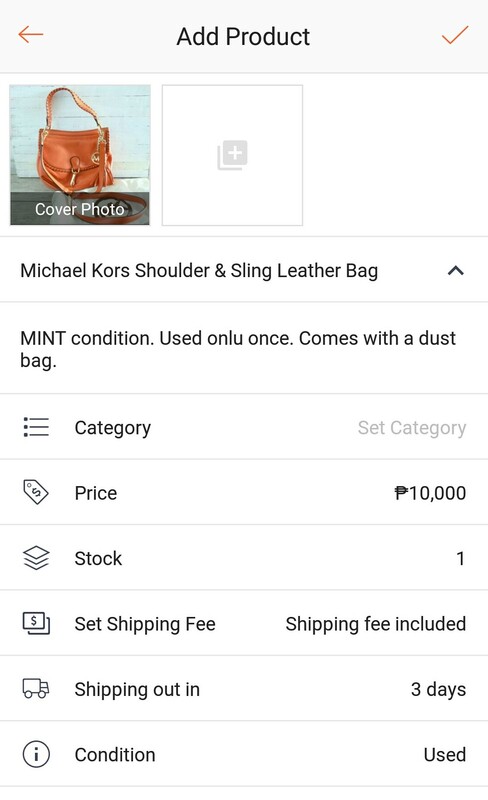 hi, nagorder ako sa shopee pero mali ung item na binigay sa akin, pagkakamali ko ba un?..sinabi niya ng seller ipabackship ko nlng daw, tinanung ko siya hnd na sumagot.. naglahu na parang bula?!.. gusto ko sana ireturn ung item pno ba? ano gagawin firsttime ko kasi..
Hi! As a seller – how do you get the payment for the products that you sell? Thanks for your post. I can communicate with the seller of the item I want to buy, so I really like this when shopping on Shopee.